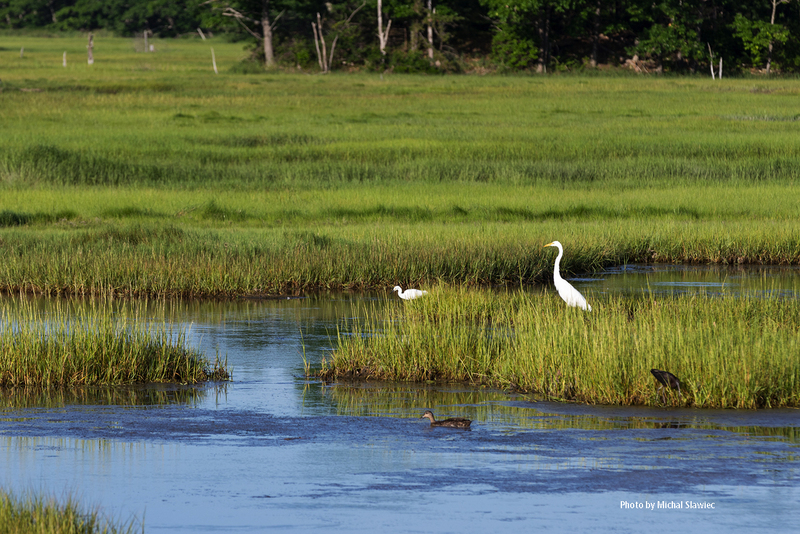 Scarborough Marsh is a resting, breeding and feeding ground for many birds in Maine. 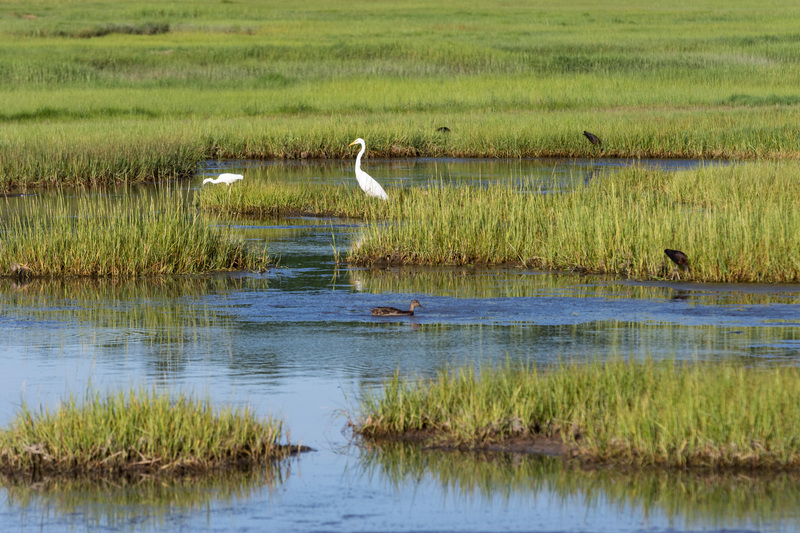 Waterfowl, egrets, herons, glossy ibis and many species of shorebirds depend on this rich ecosystem for food, a place to rest during migration and, in some cases, nesting habitat. The best birding is often early morning when birds are busy feeding. 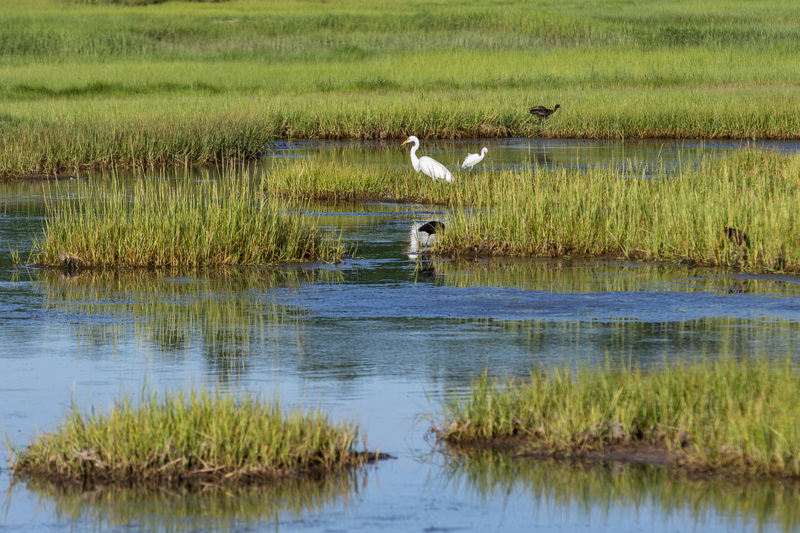 Look and listen for snowy egret, glossy ibis, herons, willet, sparrows and more. 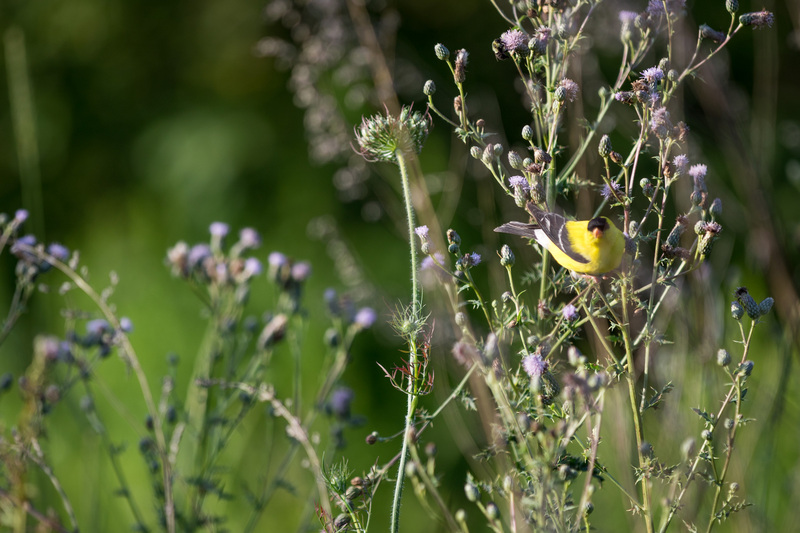 Birders of all levels and abilities are welcome to join. 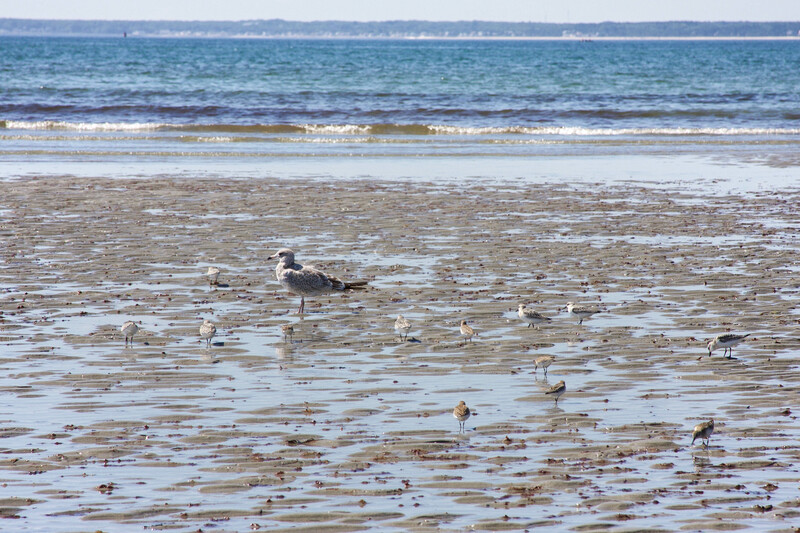 This program is led by a variety of bird leaders. For more information click here. Check out the beautiful images taken by local photographers and residents. 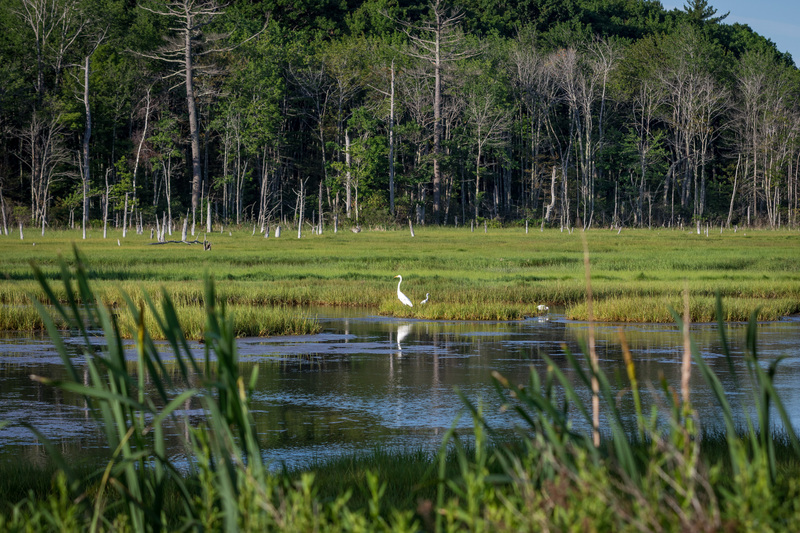 Send us your images and we will do our best to include them in the Scarborough Marsh portfolio for a credit.